Visiting Aurinkolahti Beach and Pihlajasaari Recreational Park will get you outdoors. 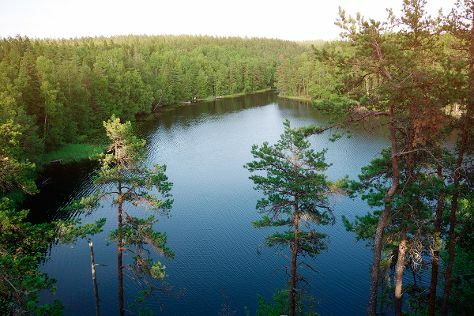 Step out of Helsinki with an excursion to Nuuksio National Park in Espoo--about 46 minutes away. Pack the 15th (Thu) with family-friendly diversions at Linnanmaki Amusement Park. Next up on the itinerary: contemplate in the serene atmosphere at Rock Church, take a stroll through Ullanlinna, appreciate the extensive heritage of The Esplanadi Park, and kick back and relax at Hietaranta Beach. To see traveler tips, where to stay, maps, and tourist information, read Helsinki trip planning app . November in Helsinki sees daily highs of 5°C and lows of 0°C at night. Finish your sightseeing early on the 15th (Thu) so you can travel back home.